In this episode, Brian Kashas shares various applications he is currently using to run and grow his contracting business. In addition, he outlines the importance of systems and processes when building a business that can sustain itself. He speaks on partnerships and how to ensure they are a success. Go in with your eyes wide open. Be prepared for your contractor partnership to fail. You must have clearly defined roles. Business is business, and you must define everything! A word of advice that has meant a lot to him over the years, is that you must be able to to separate personal from business. Great photos are very important. People love to see who you and your crew is, so put a “Meet The Crew” tab on your website. Let people see what you do, how you do it, and how you think about things. This will help them know more about you, and ultimately choose you to come and do their project. When Brian was talking about how he manages his time and all the different hats he wears, this is what he said. It’s good to have hobbies. Block out time for specific tasks. Use Google calendars to keep track of all that you have going on. Brian loves software and apps. Here is a list of some of them he referenced in this episode. Chief Architect. – Great for schedules and material lists. Sage. – Great for estimating but is not stored in the cloud. Builder Trend. – Great for scheduling. Keeping track of selections. Daily logs at end of day. Todos are very powerful. Bid request function is really nice. Trainual. – This is a great way to document policies and procedures to help streamline and systematize your business. Seth Godin Books – Great for learning more about marketing. The Advantage. – All about building culture in your company. 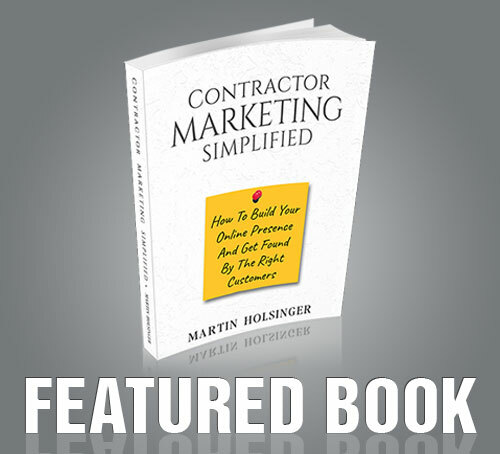 Markup and Profit for Contractors. Read a lot. Know your numbers. Understand how to calculate markup and profit. Understand how to read a profit and loss statement. Also on this episode Brad Leavitt from AFT Construction came back on the show to share with us a Protractor Tip. He talked about how important it is to try and identify “Red Flags” that might show up in your business and projects. Be Inspired, Motivated, and Educated. #Protractors! Go out there on purpose and make a difference!! Very informative, I took notes, and replayed over and over again while listening to pod-cast!